And when we mark the progress already accomplished in that direction, in spite of and against the State, which tries by all means to maintain its supremacy of recent origin; when we see how voluntary societies invade everything and are only impeded in their development by the State, we are forced to recognize a powerful tendency, a latent force in modern society. Before I get started, I want to emphasize that while the ideas in this three-part series focus on the U.S. and its particular structure of governance, the basic concepts can and should be applied throughout the world. If I believe in anything at all, it’s the idea that concentrations of power, whether government or corporate, represent the greatest threat to human freedom and liberty, and this must be understood and resisted by all of us. Let’s get started. Although many crucial functions are centralized, the U.S. still provides its citizens with various ways to exercise local power and we’ve already started to see a resurgence of such efforts across the nation. Whether or not we agree with the various state proposals out there trying to shake things up, we should all encourage the efforts. We all win from local populations experimenting with different ideas. Some will fail spectacularly, while others will pave the way for more reasonable policies across the nation. 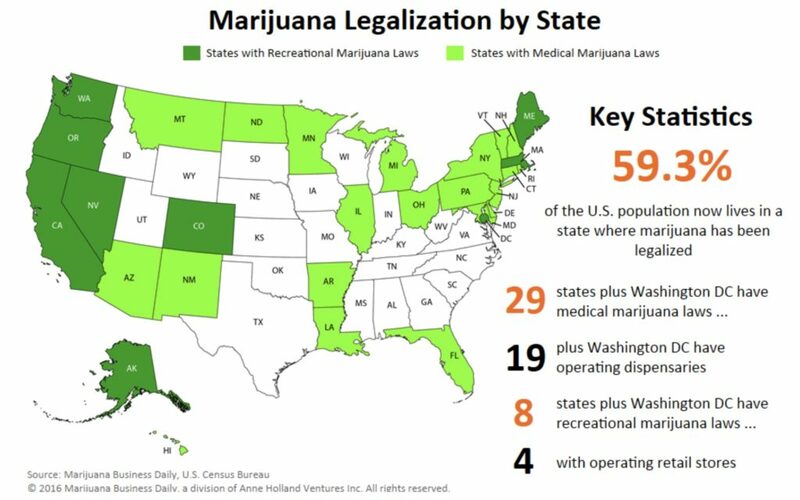 Perhaps the greatest success of localized action in my lifetime was initiated by my adopted home state of Colorado, as its residents led the way with cannabis legalization in 2012, following the passage of Amendment 64. If we had continued to wait for the feds to do something we would have ended up waiting forever. Instead, Coloradans put the measure on the ballot and the public overwhelmingly supported it (it passed with a wider margin than Obama won against Romney). The enormous success of the initiative led to a cascade of other states adopting similar measures. Local action led to national change and will result in far more humane drug polices across massive swaths of the country, as D.C. fossils like Jeff Sessions continue to spew clownish and failed drug war narratives. The success of Amendment 64 should be repeated on a variety of issues across the nation. We can then see what works and what doesn’t. People end up responding more rationally when they’re allowed to try things out for themselves. Minimum wage laws are another great example. This can be a very divisive issue, understandably so, given that what might make sense in NYC does not work in Clarksdale, Mississippi. As such, it’s the perfect local issue and we can all learn from the proposals of various cities. The Seattle law has gotten the most attention as of late, partly because it set the highest minimum wage rate in the nation. Conflicting reports regarding the success of the law have recently come into the public debate, with one study claiming that it pushed too high and caused more harm than good, while others disagree. I don’t know what the answer is, but I know that if local people want to do it, then the experiment is worthwhile. Small experiments at the local level are preferable to gigantic experiments at the federal level. Moving along, the Trump era is propelling local action in unexpected ways. While decentralization is often seen as something promoted by libertarian types, many of Trump’s most vocal opponents on the left are the ones encouraging local action following Trump’s election. This is a silver-lining to his victory and we should encourage such movements whether we agree with the specific policies or not. The more people become accustomed to local governance and community empowerment the better. We should encourage this in all aspects of life, not just when we agree with the actual policies. Freedom means the freedom for people to make mistakes and do things that we might think are dumb. When it comes to climate change, the views of Americans are very much divided by political party, which in turn tends to divide at the state level, which then divides even further at the local level. The point is, there are pockets of communities within the country overwhelmingly in favor of renewable energy mandates, and pockets vehemently opposed to them. Communities can have a lot to say on the subject, so having the Federal government decide one way or the other should not be seen as the end all be all for this issue (or most others), but a starting point. Indeed, it is far more empowering to have grassroots movements take action at the local level on a range of issues as opposed to expecting the corrupt and unrepresentative federal government to do anything useful. Interestingly enough, that’s exactly what some communities are doing and I applaud them for it. I applaud them for the type of action being taken, and the lessons we can learn in order to apply the tactic with regard to other issues. Rather than endlessly lecturing others on why they’re stupid and dumb, go ahead and walk the walk yourself.Lead by example, not by coercion. If you want more renewables, rally your community and build more renewables. Stop obsessing so much about the UN, Donald Trump and red states. To conclue, it’s absolutely critical to read everything I wrote above within the context of my view that the U.S. empire is currently within the throes of what I believe to be an irreversible decline. This is why it’s so important to decentralize now, before total imperial collapse. 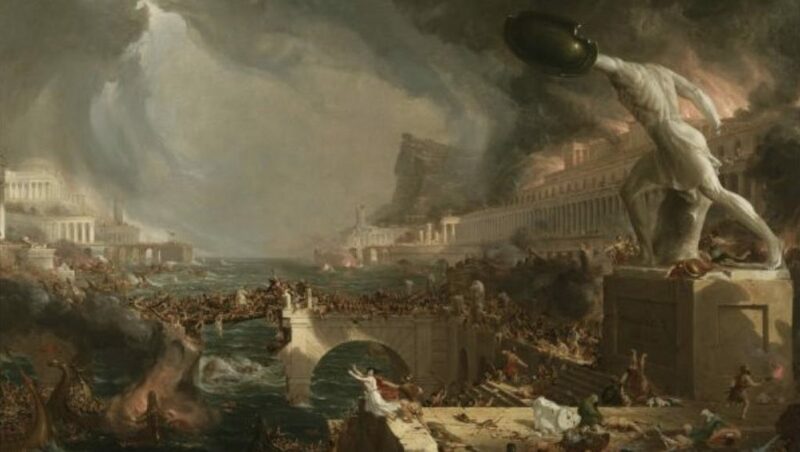 If we wait, an overly centralized government ruling over disempowered, disconnected serfs will be what everyone turns to for all their “solutions” when the ship goes down. These solutions are likely to draconian and anti-freedom, so we need to plant the seeds of self-government right here, right now. We need to take charge and empower our local communities as much as possible before things get worse. If our response to imperial decline is to try to grasp onto its last remaining vestiges, the aftermath will be a hundred times worse. There are many ways to respond to adversity, and I hope we can choose the more conscious path. I will expand on this tomorrow. Finally, I want to send out a special thanks to the 29 people who have become patrons of Liberty Blitzkrieg over the past week or so. Turning this website into a reader-supported project is a major priority for me, and I appreciate your willingness to help me demonstrate the potential power of such a model. If 1,000 people simply gave $1 a month, I would reach my goal immediately.